CRM stands for Customer Relationship Management which is a software solution that delivers functionalities to help businesses organize and access customer data. 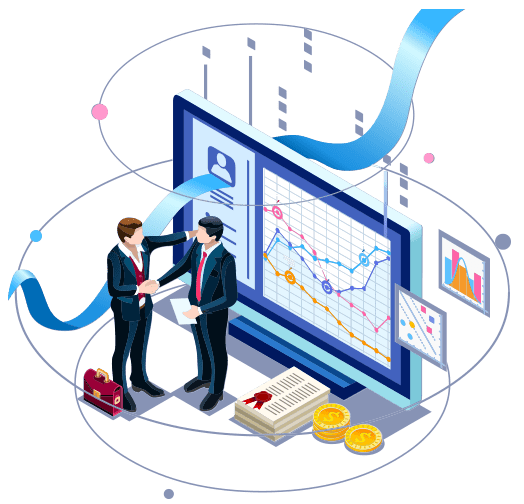 It provides an infrastructure which organizes activities, notes and metrics that helps each stakeholder of the organization to easily connect with various departments, from marketing to conversions to customer service, all through one cohesive system. Every user connected to the organization’s network can gain easy access to the client data whenever there is a need. CRM, therefore has revolutionized the way you connect with customers with unparalleled coordination. Why CRM Software for my Business? CRM is business software that entitles teams and individuals to intensify their customer relationships through effective communications and sales efforts. It helps to effectively build relationships to deliver future-proof customer experience in meeting their demands instantly. CRMs can be customized to meet requirements that varies from organization to organization. It helps to manage multiple processes in a business simultaneously with tailor-made layout with unique modules, fields and navigation buttons to match the business requirements. It assists in tracking the marketing and conversion opportunities and helps you examine and understand the possibilities and takes your business with you everywhere. Improves Informational Organization - CRM identifies, documents and records all the interaction that customers have with the organization. This helps businesses to understand their customers better and provide instant solutions. Ensures Enhanced Communication - CRM is cloud-based and never disappoints customers as it makes information accessible from any device. All the customer needs is an internet connection. CRM enhances Your Customer Service - With CRM customer support becomes a cake walk. This is because, when the customer reaches out to the company, the executive would be all equipped to retrieve information on the activities like the recent purchases made, priorities and any other assistance that customer requires. Automates our day to day tasks - A CRM is developed to automate performance of multiple tasks of the employees. This would help employees to focus more in converting leads and addressing customer issues while the CRM is at their disposal to take care of the details. Greater efficiency for multiple teams - The stored information entitles the users of different teams to access emails, phone calls, and calendar details from a secure and easily accessible console. The best part of CRM is that users can same data by multiple teams at the same time by tagging the required team to access the information. This new find, simplifies the work for the teams and gives the possibility to seamlessly work together to enhance the bottom line. 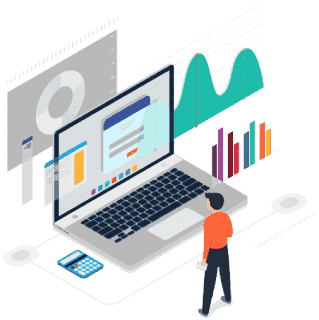 Delivers accurate analytical data and reports - CRM systems archive data in one place that prompts enhanced data analysis. The tool is developed to easily integrate with plugins and other tools that can generate the possibility to generate automatic reports to maximize your time. This helps the users to make effective decisions to reap the rewards in customer trust and get good revenue in the long run. Choosing the right CRM for your business? Choosing the right CRM is a key to any successful business. Is it easy to integrate with other solutions that I already use? Is the software affordable and fits in your budget? Implementation – Implementation plays a vital role. If you are changing or installing a new software to the existing process – there is a phase of implementation that has to be gone through. Understand if factors of implementation like training and testing and the associated cost incurred would be able to fit in your requirements. Mobility - Employees in the teams are more adoptive to the newest technology. So it is critical to choose a CRM tool that can be updated regularly and remain current with latest technology. Customization - Each business process is unique and different and the demands are different too. The CRM you choose must be flexible and versatile to handle your business processes. It should also be adaptive and scalable to the changes in business processes without any replacement. Compatibility - It is important to choose a CRM that is compatible with other existing applications involved in the process. Product Demo - As a part of the user adoption, it is important to get access to product demonstration. This would help you understand the strengths and weaknesses of the tool and understand if it would be the right tool for your business needs. Reporting - While you sit back and enjoy the functionalities of the product, it is important to check on the reporting capabilities that can assist you to successfully thrive amidst your competitors. Essential features of a CRM Software? 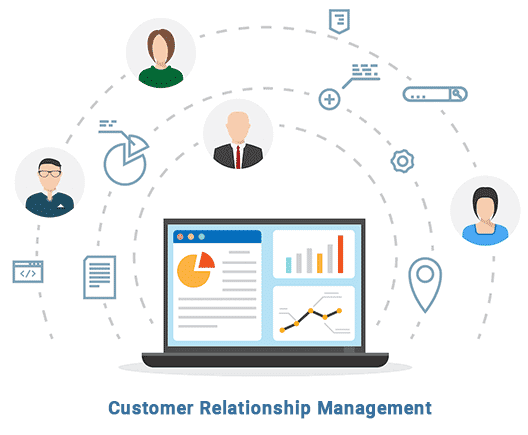 CRM or Customer Relationship Management refers to various strategies and techniques used by organizations to maintain a healthy relationship with its existing as well as potential customers. It includes learning ways to manage the happiness of the customers by giving them what they want and adapting the products and services to increase effectiveness and profitability. There are many Free CRM software available in the market, but most of them can be availed only on a trial basis. ITarian Free Customer Relationship Management solution is completely free of cost. In today's dynamic business world, business owners are in a close race with each other to gain the top spot. Keeping pace with the incoming leads, and prospects is a critical task for any business. Customer Relationship Management systems or free CRM software programs help achieve that by tracking everything related to your customers. Businesses that meet the customers' requirements is more likely to win customer loyalty and, eventually, succeed. Hence, CRM or Customer Relationship Management system is like a foundation to grow your business. Let's take a closer look at how a Free CRM system can be the best allies for improving your customer experience. With a robust Free CRM such as the ITarian Customer Relationship Management Software, you can manage both the business operations and customers interactions simultaneously. It will help you to track and organize existing customer base. The ultimate aim of Free CRM software is to establish a healthy relationship with customers so that they keep coming back- returning customers. Why Free CRM Software for Your Business? As seen earlier, CRM software plays a critical role in achieving customer satisfaction. A robust Free CRM solution provides valuable insights into the customer behavior which you can use to modify your business operations. Apart from that CRM software also helps the sales staff to close deals faster, retain existing customers and to discover new potential quickly. It also simplifies marketing and sales processes. ITarian's Free CRM software keeps track of your customers' interests and helps you in modifying your products and services according to the customers' needs. With ITarian Free Customer Relationship Management solution, you can get all the CRM power you need without any add-on baggage. Our Free CRM program will help you in managing and tracking leads more efficiently, thereby helping you gain customer loyalty. With the Free CRM tools in ITarian, you'll be able to create, manage, and track marketing campaigns quickly. When your leads pour in, our automated workflows integrate with your business systems to create quotes and proposals to simplify the overall sales process. Automate workflows to better manage the sales pipeline by streamlining and optimizing the entire sales cycle. Prevent leads from going cold by passing them over to sales quickly for follow-up. Warm up leads so they are sales-ready when you deliver them to reps. Centralized access to all customer- and prospect-related details—communications, activities, product and service details, etc.—increases effectiveness and maximizes revenue potential. Deliver a professional quote quickly with interactive tools that generate proposals in minutes, even with distributor pricing. Create a positive initial experience by converting your new win into an order or project efficiently so you can start immediately. Create polished emails, landing pages, and forms with customizable templates and simple drag-and-drop functionality. Track, analyze, and measure results so you can focus resources where they’ll have the most impact. Automated notifications and reminders for deal closings, renewals, win announcements, etc., keep everyone in sync and on track. Did you find this article about CRM Software helpful?